Digital Signatures: What is a digital signature, the legal situation In South Africa and how would e-signatures work in practice? 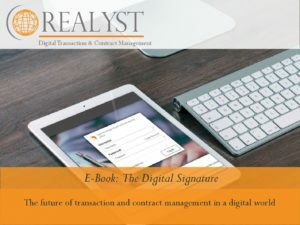 Home » Digital Signatures: What is a digital signature, the legal situation In South Africa and how would e-signatures work in practice? ← Digital Signatures: What is a digital signature, the legal situation In South Africa and how would e-signatures work in practice?